Shallow Wake is a Canton, Ohio based band that plays original, no-gimmick, straight-up hard rock. 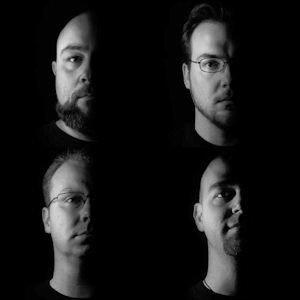 The band features Mike Dray (vocals/guitar), Tom Harrington (bass), Jason Huppert (vocals/guitar), and Rob Minton (drums). Shallow Wake can be found playing in the community and is always up for exploring new venues and crowds. 2012 saw them headline a benefit for the Carrollton County Animal Rescue as well as rock a packed audience at Canton’s music hotspot, Buzzbin Records. The band released their first CD, Brain Case, in 2010 and is currently working on their next album.